PepsiCo has completed its $3.2 billion acquisition of SodaStream International, the international producer of home carbonation systems. 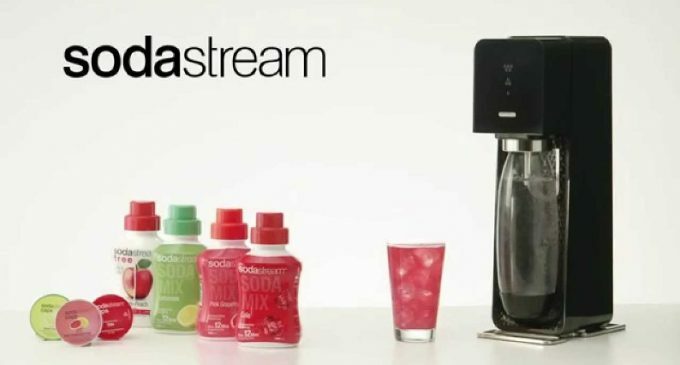 SodaStream is the largest sparkling water brand by volume in the world and the leading manufacturer and distributor of Sparkling Water Makers. PepsiCo’s strong distribution capabilities, global reach, R&D, design and marketing expertise, combined with SodaStream’s differentiated and unique product range will position SodaStream for further expansion and breakthrough innovation. The acquisition marks another step in PepsiCo’s Performance with Purpose journey, promoting health and wellness through environmentally friendly, cost-effective and fun-to-use beverage solutions, and the company’s Beyond the Bottle strategy to form a more sustainable beverage ecosystem. PepsiCo products are enjoyed by consumers more than one billion times a day in more than 200 countries and territories around the world. PepsiCo generated more than $63 billion in net revenue in 2017, driven by a complementary food and beverage portfolio that includes Frito-Lay, Gatorade, Pepsi-Cola, Quaker and Tropicana. PepsiCo’s product portfolio includes a wide range foods and beverages, including 22 brands that generate more than $1 billion each in estimated annual retail sales.